The 6,600 sq. ft. lodge provides a comfortable "at home" atmosphere that will accomodate small to medium-sized groups. In the Lodge you will enjoy the spacious recreation and meeting room that is furnished with video and audio equipment, to meet your needs. 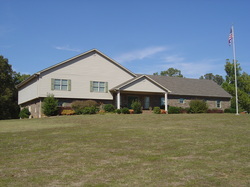 Available are five bedrooms and four full baths. 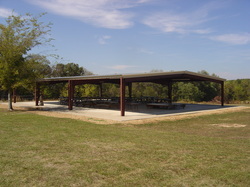 The Covenant Ranch open-air pavilion is large enough to accomodate most any church fellowship or picnic. The 50'x75' pavilion is equipped with water, florescent lighting, electricity, stage, and picnic tables. Available for your use are: men's/women's restroom and shower house, athletic field, playground, volleyball court, tetherball, horseshoes, fire pit, and charcoal grill. If the weather is not suitable, bring your event indoors, into the large meeting/recreation building. Also available is the large meeting room located in the back of the administration building. In the large meeting room is a variety of games, including: pool, ping pong, air hockey, table soccer, racing arcade, & corn hole. 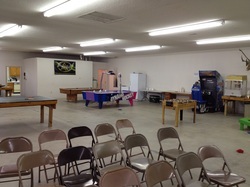 The room is also equiped for indoor archery. Available for your group is a commercial popcorn popper. 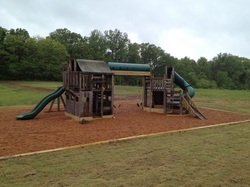 One of our newest additions is our playground for families with small children. The playground is a nice fit for your church picnic.